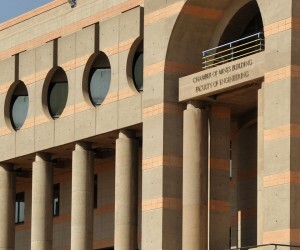 The Wits School of Mining Engineering is today recognised as one of the world’s top mining engineering schools, with among the most expansive programmes. It also has one of the highest growth rates of any of the engineering schools or departments, having seen a consistent increase in the number of students to its courses. The challenges facing mining today are substantial. However, best-practice innovations and technology offer the opportunity for the design and management of high-tech mines that are not only safer, but also more productive and environmentally and socially responsible, while still being economically successful. The Centre for Sustainability in Mining and Industry (CSMI) acts as a bridge between academia and practitioners to integrate disciplines in solving complex health and s a f e t y, and sustainability-related problems. The School’s new Strategic Plan ensures that the Wits Mining team can deliver excellence in teaching, research and service in line with the Wits Vision 2022 of being a leading research-intensive university firmly embedded in the top 100 world universities by 2022. As mining requires the skills and technology of several branches of engineering, most of the curriculum for years one and two is common to all branches of engineering. The third and fourth years focus on mining engineering and include technical valuation, ventilation and environmental engineering, mine transport and rock mechanics. The School’s undergraduate programme is designed to provide graduates with the engineering expertise they require as mining engineers. The School has, in conjunction with the South African mining industry, developed a programme of postgraduate courses designed to cater for the needs of graduates. These include technical subjects for specialist skills in mining, mineral resource management and evaluation, and rock engineering, as well as management skills in evaluation techniques and fundamental principles in mineral economics. Wits Mining graduates are ready for these challenges and the School of Mining Engineering is known and respected internationally for the quality of its programmes and graduates. 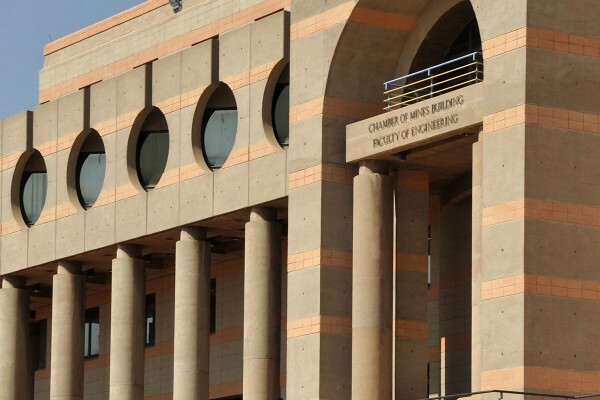 Historically, the School of Mining Engineering occupies a central role in the formation of the University of the Witwatersrand, being the original educational entity around which the University was later established. The South African School of Mines, formed in 1896 in Kimberley, was transferred to Johannesburg in 1904 and was later renamed the South African School of Mines and Technology. It was from this School – which became the University College Johannesburg in 1920 – that the University of the Witwatersrand emerged on 1 March 1922, as the college was granted full university status.